Good view of houses removed in 1938 when building Harrison Drive. On the left is part of Marsden's agricultural implement makers. On the pavement can be seen goods for sale. 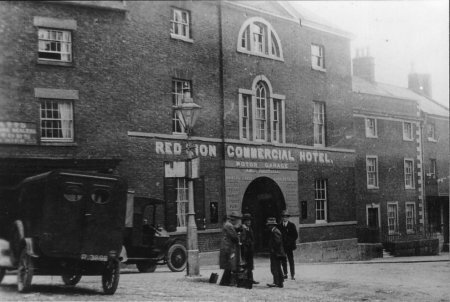 In the distance is the Red Lion Commercial Hotel. To the right of that was Watts,wireless dealer and taxi proprietor. 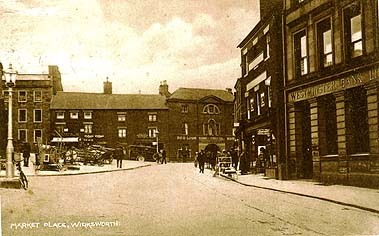 Next was Doxey's newsagent and tearooms. 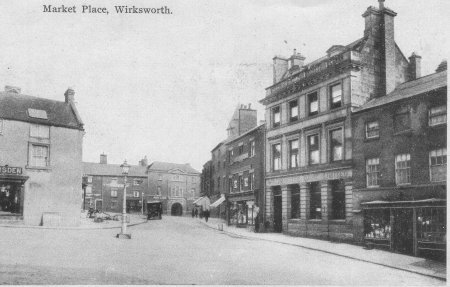 On the right is the Westminster Bank building. Next is Johnston's ironmonger's shop, opposite Marsden's.